What happened at Trump's State of the Union address? US President Donald Trump has announced in his State of the Union speech that he will hold a second nuclear summit with North Korea's leader this month. In an address to the nation with the theme "Choosing Greatness", he vowed once again to build a border wall. While appealing for political unity, the Republican president also said "ridiculous partisan investigations" could damage US prosperity. In a rebuttal, Democrats accused Mr Trump of abandoning US values. His primetime address came less than a fortnight after he backed down to end the longest ever US government shutdown when Democrats refused to fund a US-Mexico border wall. Federal agencies could close again if no spending plan is agreed by the end of next week. What did he say about North Korea? The president said in his 82-minute speech on Tuesday night that he would meet Kim Jong-un in Vietnam from 27-28 February. Plans for a second summit have been in the works since the two leaders' historic talks last year. 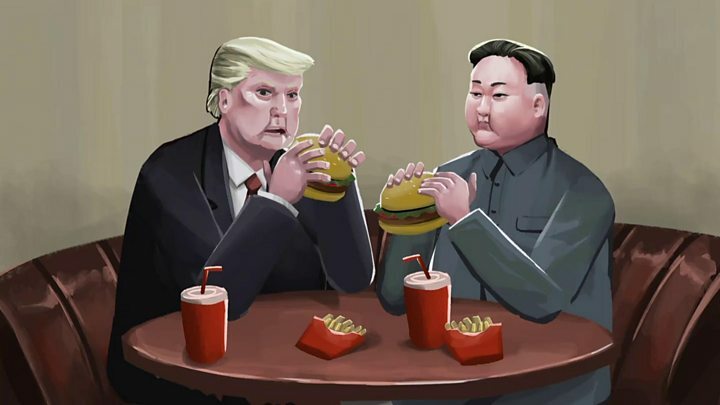 Mr Trump and Mr Kim's meeting last June in Singapore was the first ever between a sitting US president and a North Korean leader. While Pyongyang has not conducted any atomic or ballistic missile tests since last summer, it has yet to agree to dismantle its nuclear weapons programme. The US envoy for North Korea, Stephen Biegun, is in Pyongyang for talks, paving the way for the second leadership summit. What might a second summit achieve? Mr Trump's goal will be to extract pledges from Kim Jong-un without giving too much ground. The Trump administration has said it is not willing to lift sanctions, but it has mentioned helping out the North's economy. However, handing over such aid to a secretive state which has yet to declare a list of its weapons facilities or allow in independent inspectors is bound to raise more than eyebrows. So Mr Trump has to extract a written pledge from Mr Kim. Otherwise these summits will be seen as all show, and very little substance. As for Mr Kim's bargaining chips, we have been told he could be prepared to give up his nuclear production site known as Yongbyon. I've also been told by some sources close to Pyongyang that Mr Kim does want to achieve something his father and grandfather never did. A peace treaty. The prospect of becoming the US president who ended the 68-year long Korean War is bound to be a tantalising one for Mr Trump. What did he say about unity? After two years of rancorous partisanship, Mr Trump on Tuesday night repeated calls for political unity that he has made in his last two annual speeches to Congress. "Together, we can break decades of political stalemate," he said. "We can bridge old divisions, heal old wounds, build new coalitions." Mr Trump raised potential areas of agreement, such as infrastructure improvements, lowering prescription drug costs and fighting childhood cancer. But he added: "An economic miracle is taking place in the United States and the only thing that can stop it are foolish wars, politics, or ridiculous partisan investigations." Democrats have launched a flurry of inquiries into the Trump administration since they took over the US House of Representatives last month. A special prosecutor is still investigating alleged Russian meddling in the 2016 presidential election and possible collusion between the Trump campaign and Russia, which the president and Moscow deny. As Mr Trump delivered his nationally televised speech, his chief congressional antagonist was sitting at the rostrum over his shoulder. 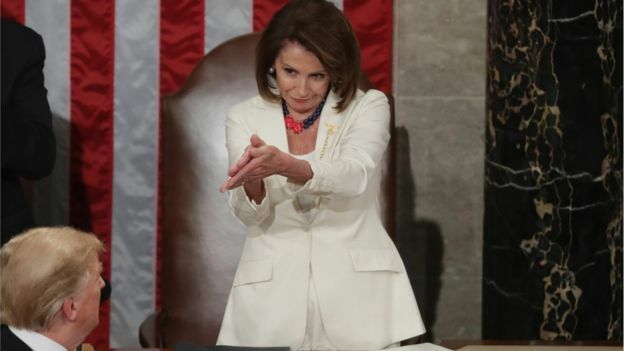 The Democratic leader of the House, Speaker Nancy Pelosi, tweeted afterwards: "It will take days to fact-check all the misrepresentations that the president made tonight." It was a speech that was billed as bipartisan, but beneath the flowery language were the same sharp divides and disagreements. Mr Trump has never really acknowledged his party's ballot-box defeat in the mid-term elections last November. By instigating the recently concluded government shutdown, he acted like he still had the political upper hand - even when it was clear to almost everyone that this was not the case. So this State of the Union address presented a quandary. How can a president reconcile himself to divided government while still asserting that everything is going great for him? For this president, the answer was to effectively shrug at the setbacks. 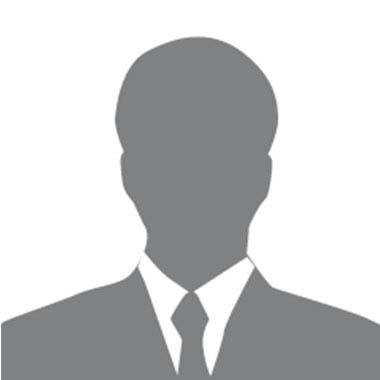 To focus his message, where it counted, towards his political base. And to stick with the message that won him the presidency in 2016 and, he appears to believe, will keep him in the White House for another term next year. 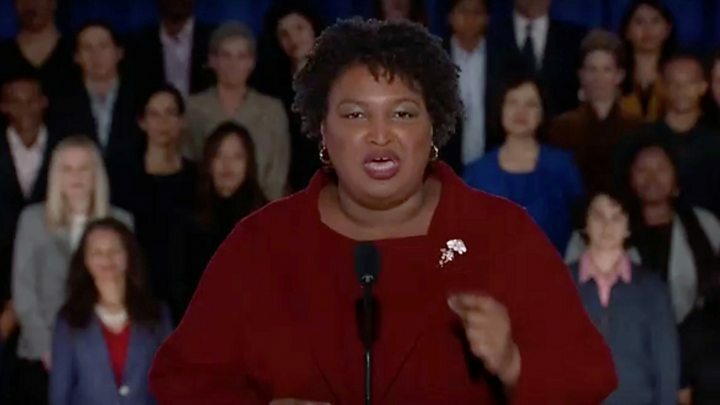 Stacey Abrams, who lost her race last year to be governor of Georgia, delivered the Democrats' response to Mr Trump. She was the first African-American woman to give the party's rebuttal. Ms Abrams said: "The shutdown was a stunt engineered by the president of the United States, one that defied every tenet of fairness and abandoned not just our people - but our values." She also said that while she is "disappointed" with Mr Trump, "I still don't want him to fail." 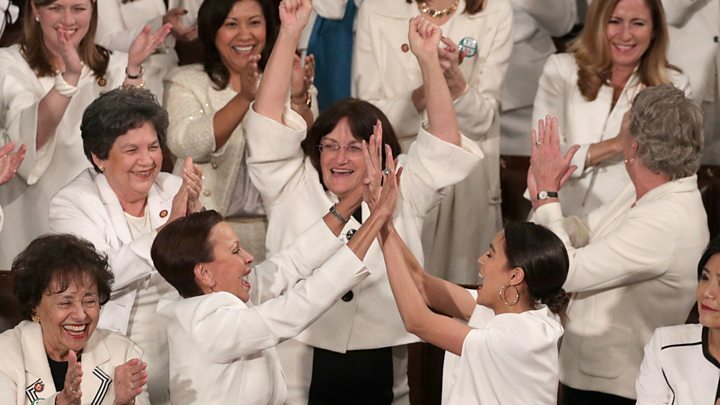 Democratic female lawmakers who attended Mr Trump's speech wore white to celebrate the 100th anniversary of American women gaining the right to vote. They sat stony-faced as their Republican counterparts rose for the applause lines. 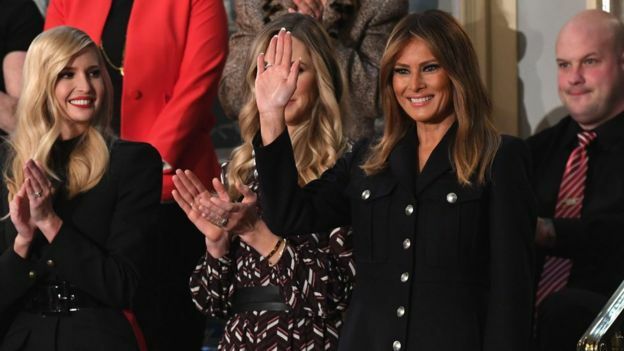 But Democrats surprised Mr Trump with a standing ovation when he said there were more women in the workforce and in Congress than ever before. "That's great!" said the president, delighted by their reaction. "Really great." What did he say about foreign wars? Mr Trump said his administration was holding "constructive talks" with the Taliban to find a solution to the conflict in Afghanistan. "The hour has come to at least try for peace," he added. The president also said "virtually all" of the territory once occupied in Syria and Iraq by the Islamic State group had been liberated from "these bloodthirsty monsters". "It is time to give our brave warriors in Syria a warm welcome home," he told the chamber. He said 7,000 US troops had died and more than $7tn (£5.4tn) had been spent by America on nearly two decades of war in the Middle East. "Great nations do not fight endless wars," said the president, who campaigned on an 'America First' platform. What did Trump say on border security? The president devoted much of his speech to border security, vowing once again to build a US-Mexico barrier and calling illegal immigration "an urgent national crisis". But he refrained from declaring a national emergency that might allow him to bypass Congress for wall funding. With another government shutdown deadline impending on 15 February, the president has few options to deliver his signature campaign promise. Mr Trump told his audience that working-class Americans pay the price for illegal immigration. Despite the president's call for unity, the reception from Democrats was frosty for most of the evening. Meanwhile, Republicans shouted their approval - especially when Mr Trump talked about the wall along the southern border. When the president said: "The state of our union is strong", members of his party stood and chanted: "USA!" The Democrats stayed seated. But then the mood changed. 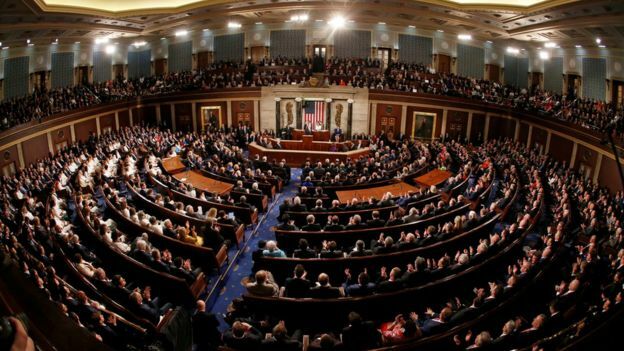 As the president noted the record number of women in Congress, Democrats gave a standing ovation - and they began shouting: "USA!" Republicans joined in - they all chanted together. Bitter adversaries experienced a rare, happy moment of togetherness. And the president was right in the middle of it.